The shoe you've all been waiting for is now available. 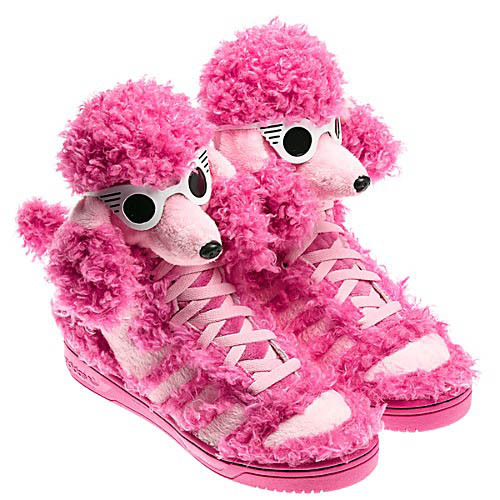 Jeremy Scott is at it again for adidas Originals. 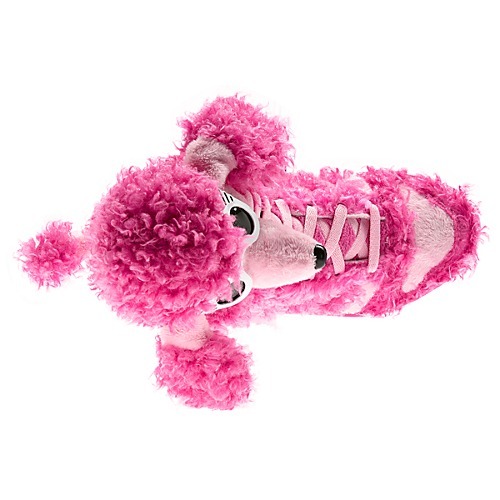 You've seen teddy bears and gorillas, this time it's furry pink poodles for your feet. 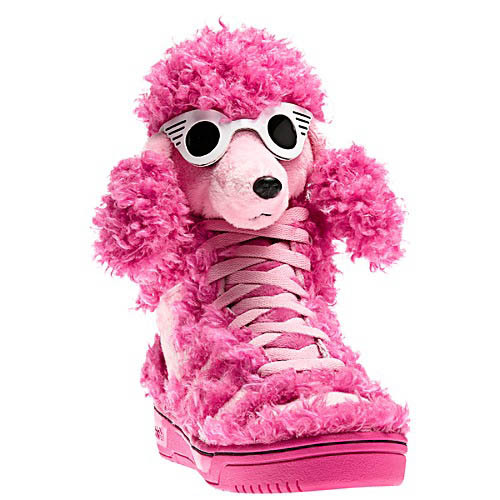 The "Pink Poodles" feature a plush pink canine upper, complete with tails and some very stylish sunglasses. They sit on matching bright pink soles. 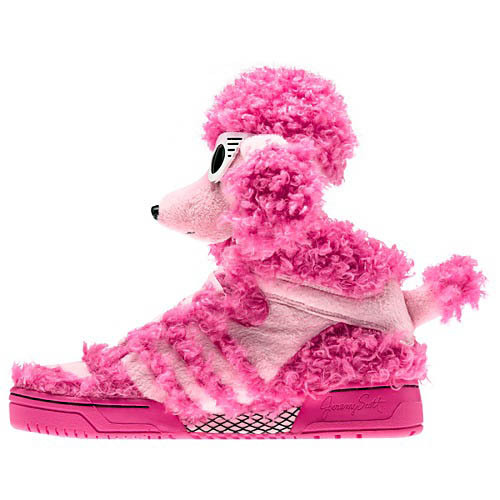 The Pink Poodles are available now in unisex sizing at select adidas Originals retailers and online directly from the adidas Store.